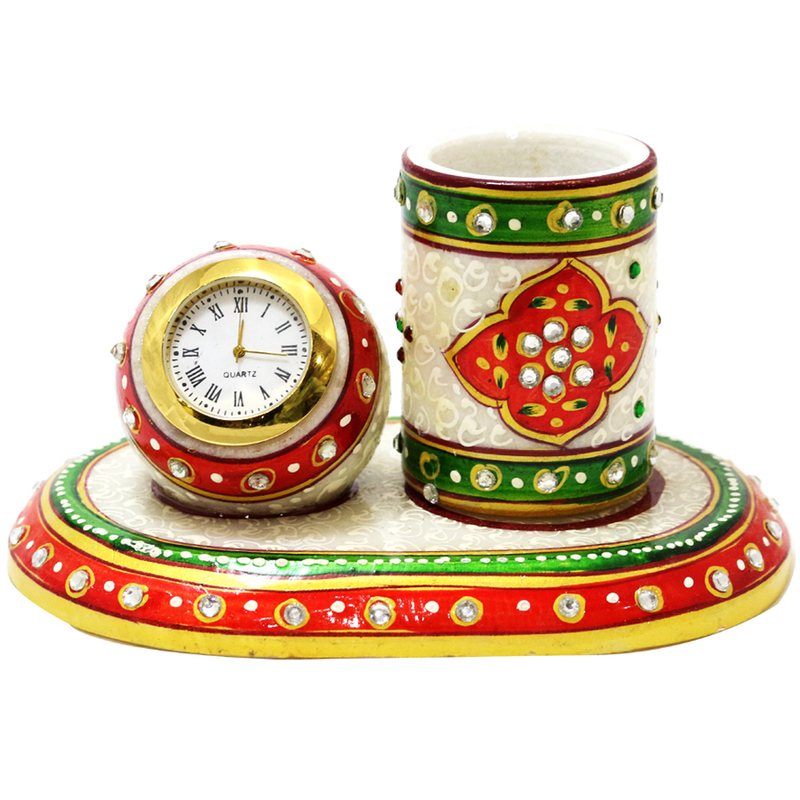 The Corporate Meenakari Pen Stand with Clock in Marble offers the perfect balance between aesthetic pleasure and practical usability. 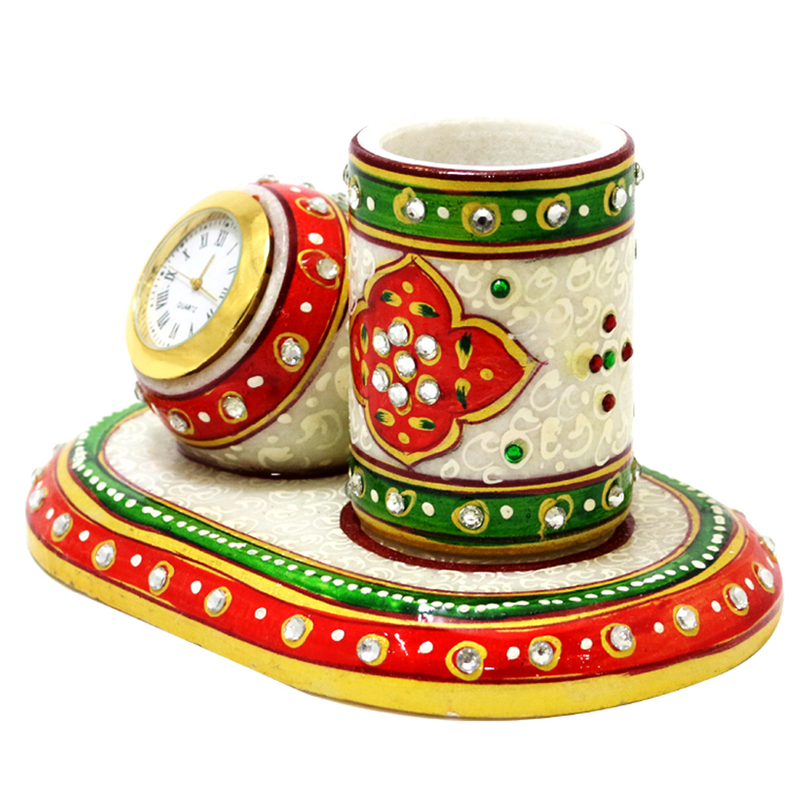 This pen stand, carved out of Read More..finest grade marble and featuring traditional Meenakari work, proves to be quite an eyeful for any workstation. However, it also contains a clock that makes it a handy addition to the workplace for holding pens and telling time. Show Less..